If you wish to learn African Drumming and Dancing, you are on the right page! 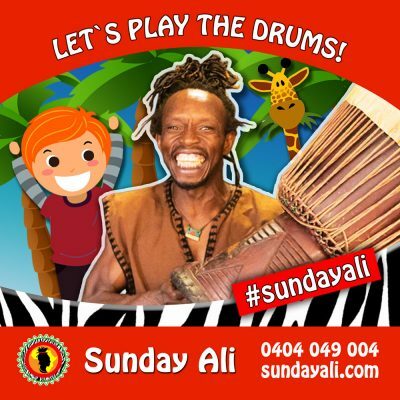 Because Sunday Ali is the best teacher of African Drumming and Dancing, originally from Nigeria. Sunday Ali offers drum and dance workshops that are tailored for different groups, including; playgroups, early learning centres, schools (kindergarten to year 12), school holiday programs, universities, aged care centres. If you would like to join in on our next drum class, please contact Sunday Ali now! 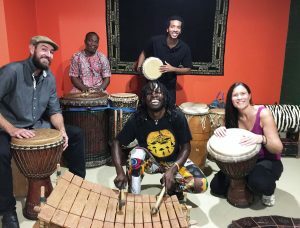 Our workshops are for up to 20 people and all African drums and musical instruments to make our workshops amazing! On ordering, you can add additional people beyond 20. Once all is confirmed, you will recieve a booking confirmation by email. For any questions, please send us a message on our contact page.